This wonderful family home is excellently located on a quiet tree-lined residential street within an easy 5-minute walk to sky train. Grimston Park is just around the corner, Lord Tweedsmuir Elementary is two blocks away. The perfect New Westminster address to raise your family. This well cared for 1 1/2 story home has lots to offer a young family. Two bedrooms above the main floor, updated kitchen, inlaid hardwood floors with a cozy wood burning fireplace in the living room. Two bedrooms on the main floor. A one-bedroom in-law suite in basement. Two-piece bath down could easily be converted to a three piece. Nice west facing backyard enjoys great sunlight. Single car garage off lane. 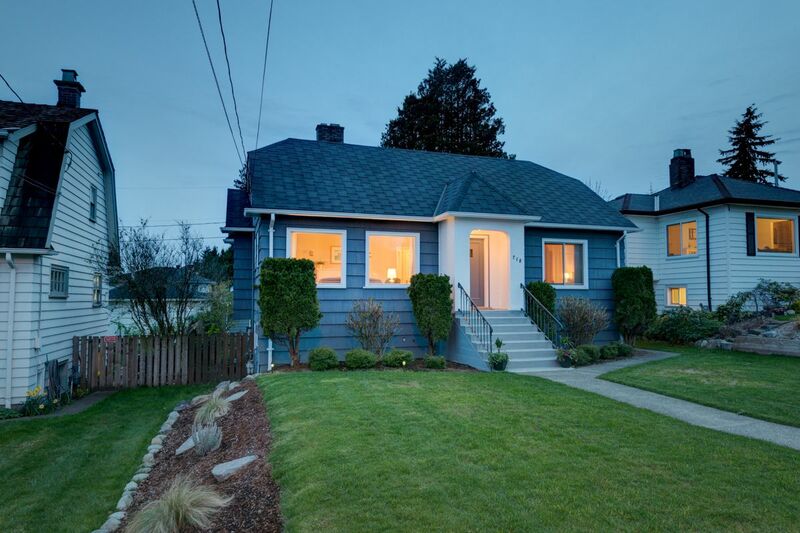 Handsome wood shingle siding gives this home great street appeal!